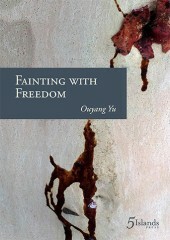 Ouyang Yu is a prolific writer whose combination of occupations – poet, novelist, translator, academic – gives some context to this book’s obsessive engagement with word, language and meaning. His biographical note mentions that he came to Australia at the age of 35, and there’s a pervasive trope in Fainting with Freedom of a stranger-in-a-strange-land’s curiosity for the materiality of language and its malleability: something akin to what Kerouac once alluded to when he described his relationship to English – a language he didn’t learn until he was eight – as a tool he could very consciously manipulate as necessary for effect and meaning. For Yu, this fascination is not limited to the experiences of a foreigner acculturating to a new socio-linguistic circumstance, but goes much further and deeper (presumably due in part to or concomitant with his work as a translator and teacher), investigating and playing with the complexes that emerge from the interaction back and forth between languages and his own movements across them. What emerges is a burgeoning sense of a meta-culture, not merely a bigger, hybrid, Chinese-Australian context, but a richer, more meaningful bilingual world available to those with the knowledge and awareness to perceive it. For the rest of us, the contents of Yu’s poems offer tantalising windows into that world, especially in combination with his formal versatility. In form and style his poems are typically full of disruptive, unexpected lines, deploying enjambment, malapropism, skilful grammar (as well as wilful disregard for grammar) in service of profundity, humour, and intellectual interrogation. Moments emerge from Yu’s work as a translator and as a language teacher, and his fascinations capture not only an other’s perception of his second language and culture, but also a revision of his first language, and glimpses into parallels (as well as enormous divergences) between the two. There’s something enormously heartening about reading such a living, adventurous book published in English in Australia that can nonchalantly presume the relevance of a treatise on individual Chinese words or characters, or their relationship with English. 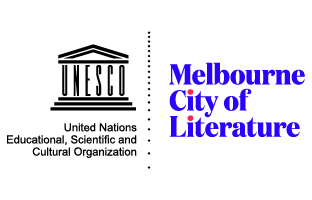 Poems like ‘Talking about ’ and ‘Round’, with their matter of fact use and discussion of non-Latin characters, as well as non-European cultural referents, expand the palette of the possible for contemporary Australian poetry. Ostensibly about translation but produced for an English (only) speaking audience, this poem is as much about the futility of trying to express anything in any language, the flawed nature of language as a system, the unbridgeable difference between the uniqueness of individual aesthetic perception and the conventionality of language. It proves, however, to be quite a straight narrative about a night out at the cinema, a condensed memoir, meditating on this one word (and film of the same name) to explore the speaker’s relationship with life, work, marriage, friendship, and transnationalism. At its heart is the single brief line, ‘did you see it just for her?’, a question posed by the speaker’s wife that betrays a glimmer of tension in their marriage, a conceit that alters the light cast on every other part of the poem, demonstrating a deftness with narrative detail, just the right amount, that belies a novelist’s feel for drama. Such careful and attentive use of story, particularly in those poems in the book that are so strongly located in modern urban settings, combines with the linguistic play evident throughout the book, to offer a tangible sense of the here and now in which these works were created and exist. Opening with ‘Manufactured by no one but this/Is a morning that harks back to 1787’, the poem ‘A cloud’ similarly manages to invoke multitudes from small, precise detail (in this case, mention of the year prior to British invasion invokes the Australia of pre-European colonisation and pre-industrialisation, in part as a proxy for pre-pollution). This starts a riff that culminates half way through the poem with: ‘The city that is changing rolling into/a nation that soon disintegrates and fragments/in multiple communities of digital photographs.’ Such striking power to sketch an entire national history from colonial pre-nationhood, through to the contemporary era of multiculturalism and social media, and tell it without dull prosaics, is one of the key powers of this book. Moments like these emerge continuously, seemingly effortlessly. Later in this same poem Yu flexes his talent for Steinian word play and linguistic interrogation, an awareness of the language as a toolbox or machine that can be repurposed through close and careful modification: ‘cloud and rain, cloud into rain/clout encapsulated in the rain’. My heart lowers its head to listen. It’s a quite extraordinary poem. The apparently arbitrary form – a blank line after every couplet – seems to contribute little until the final couplet, where two lines separated grammatically by the end of the quotation are brought together. That pairing drives home an intense profundity, the sort of brief, dashed-off moment of deep clarity characteristic of a lone poet like James Wright: “Before death’/My heart lowers its head to listen.” In turn, the use of the long-running quotation as a framing device emphasises the self-mockery of the opening lines, but particularly through that final coupling – half within the quote, half without – the same device also serves to intricately explicate the dichotomy a fearless experimentalist must feel when confronted with a desire to express earnest confession in verse. Yu’s slightly odd word manipulation – the synaesthetic ‘see no-one saying that’, or ‘Birth day’ as two words – recall once more his obsession with language play, but also evoke that ‘family of loners/In a rootless//Country’ and the cross-cultural uprooting (and perhaps attendant isolation) this poet has gone through. The use of ‘rootless’ in particular is strikingly clever, at once a near-cliché in keeping with the running parody of the confessional, but also so evocative of Australia and the strangeness of its vernacular – what does it mean in this particular culture to be alone and ‘rootless’ on a night of celebration? Indeed, to follow that word with the single-word line ‘Country’ approaches the Shakespearian in both bawdiness and skilful wordplay. This book contains microcosms of alertness to the oddity of language as language, the arbitrary way meaning is distorted or inflected by unfamiliar acts of repetition, the use of phrases grammatically correct but somehow socially bizarre/inept, or the inappropriate use of passive or active voice. 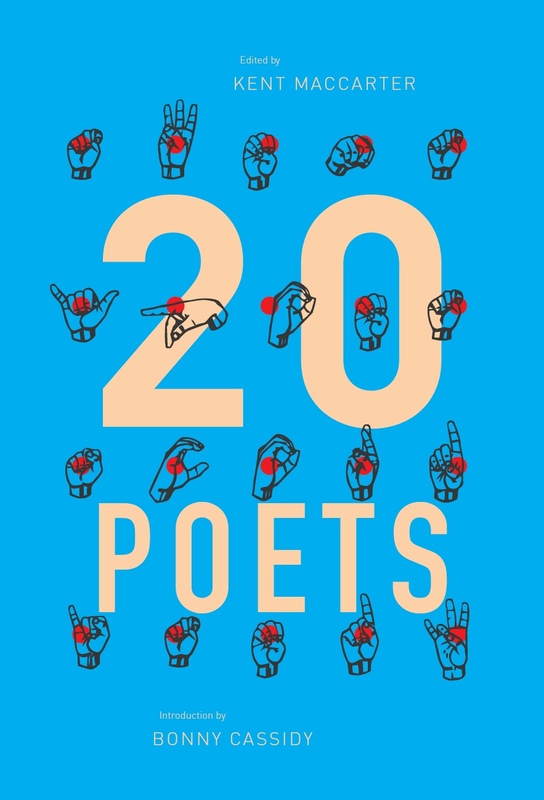 The actual subject of many of the poems is books and writing, literature or art as convention, with a particular concern for the non-creative aspects of the creative arts as an industry. In ‘Paintings’ for example, Yu calls out the exclusionary nature of acquired taste in a single line: ‘the eyes have to be trained but the names are more important’. This entry was posted in BOOK REVIEWS and tagged Michael Aiken, Ouyang Yu. Bookmark the permalink. Michael Aiken is a writer living and working in Sydney. His first collection, A Vicious Example (Grand Parade Poets 2014), was shortlisted for the NSW Premier's Kenneth Slessor Prize and the Mary Gilmore Prize, and the cover design by Chris Edwards was also shortlisted for the Australian Book Design Awards. In 2016, he was the recipient of the Australian Book Review's inaugural Laureate's Fellowship, for which he wrote the book-length poem 'Satan Repentant' under the mentorship of David Malouf.